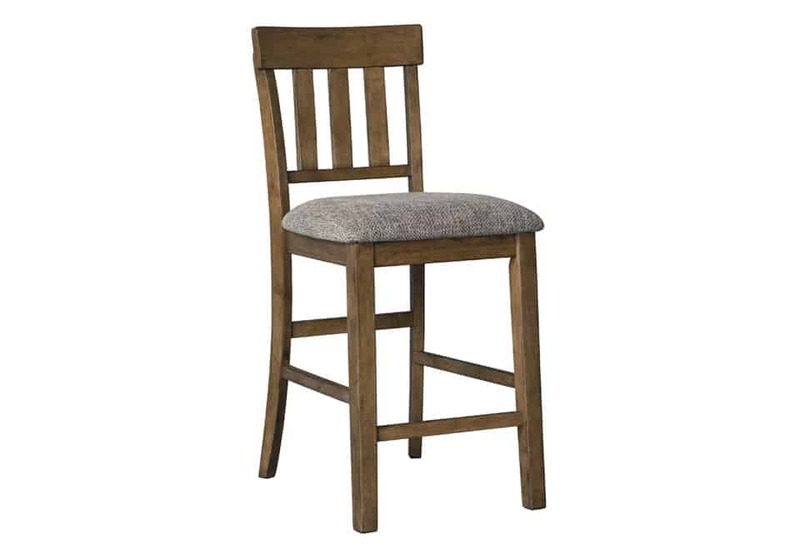 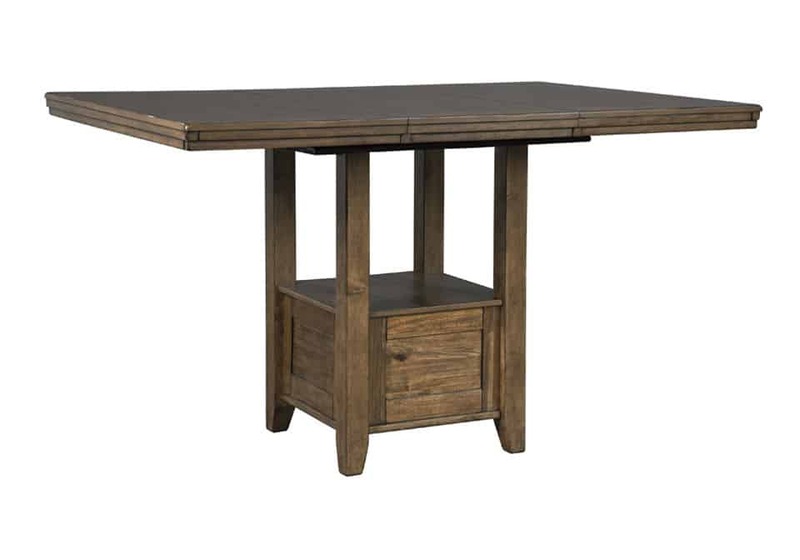 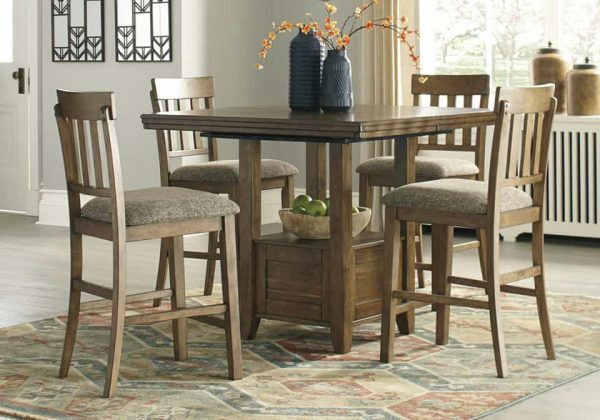 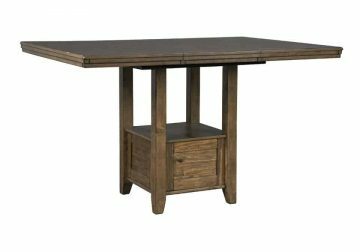 Versatile and generously scaled, this five-piece rectangular table and chair set is perfect for a casual dining room space. 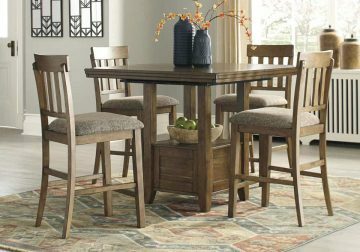 The brown finish of these pieces highlights the natural grain character of the wood beautifully. *Set included a table and four chairs.